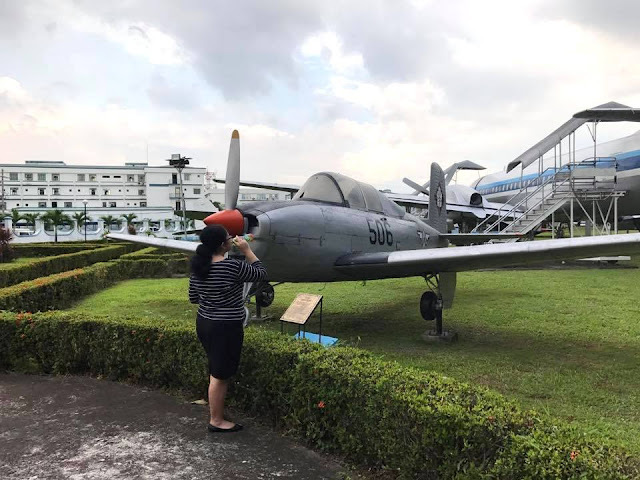 I was not very interested to know more about the Philippine aviation history until we accidentally encountered the Philippine Aerospace Museum. 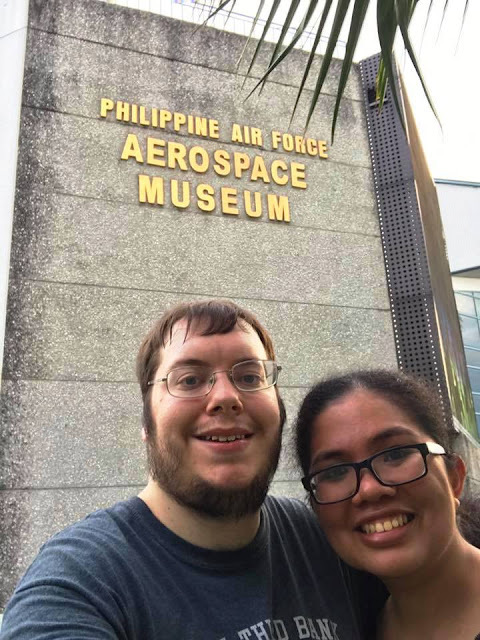 Last October 20, Leo and I went to NAIA terminal 1 to get his check-in luggage and because of the heavy traffic, he saw the facade of the museum. He asked me if we can go there since he loves aviation. I told him we could and I didn't know about this place so that'll be interesting. Four days later, we came back to visit it again. The Philippine Aerospace Museum showcased murals, jets, cars, and memorabilia from the Philippine Armed Forces. There were a lot of interesting displays to see. I particularly liked the hanging jets with the Philippine flag that you will see once you enter the area. These are the fighter jets that the Philippines used during the American occupation in the country. At the Ground Floor, you can also see the previous Presidential car, fighter jet motors and missiles, eject seats from the airplanes, airplane models, and a souvenir shop that sells affordable products like keychains for Php75, ballers for Php75, and a mug for Php150. This beats the overpriced souvenirs that we get from other museums. A replica of American space buggy used for exploration can also be found at the Philippine Aerospace Museum. 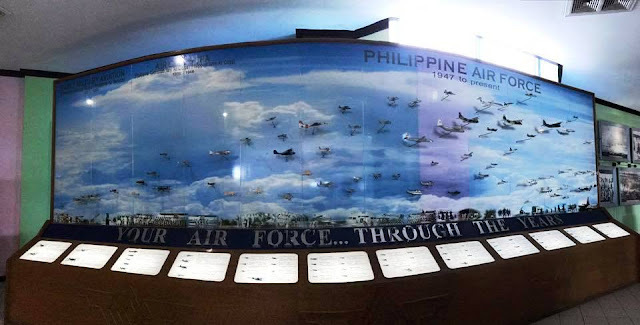 When you go to the second floor, this showcases more memorabilia from the Philippine Air Force. One display I particularly liked was the Philippine Air Force Lineage flags from 1947 to 2007. 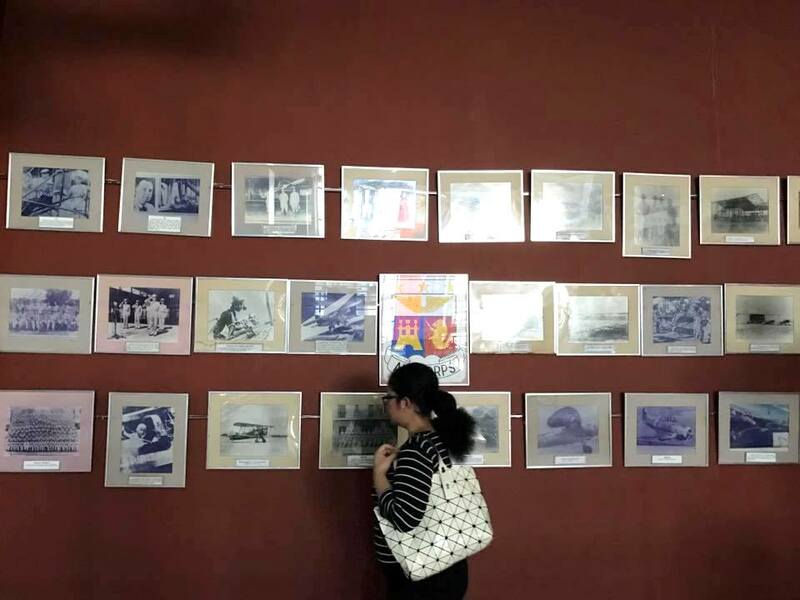 There were also a lot of framed photographs that covers the aviation history since the Air Force got established. I never thought I could see a photo of Paseo de Roxas so clear of traffic and buildings. Another interesting display was the lineage of all airplanes and fighter jets used by the Air Force from 1947 up to 2007. There were model planes anchored to the display and details about each of them at the description plates below the mural. My favorite part of the museum was the outdoor aircraft park that has airplanes and fighter jets that the Philippine Air Force used during World War II. This is the Albatross, HU-16, general utility amphibian plane. It can take off and land in both land and water. It's perfect for water rescue operations. This other airplane is the C-47, the Gooney Bird, the most famous commercial transport plane in the world. It served well in the Air Force as a transport aircraft, a fighting aircraft and for weather reconnaisance operations. Below is the Albatross, HU-16, general utility amphibian plane. It can take off and land in both land and water. It's perfect for water rescue operations. I really like the UH-1H. It was the only plane where you can actually go in to take photos and check out. The Huey is perfect for troop transport and extraction and casualty evacuation. It is still in service due to its low maintenance requirements. T-34 Mentor. 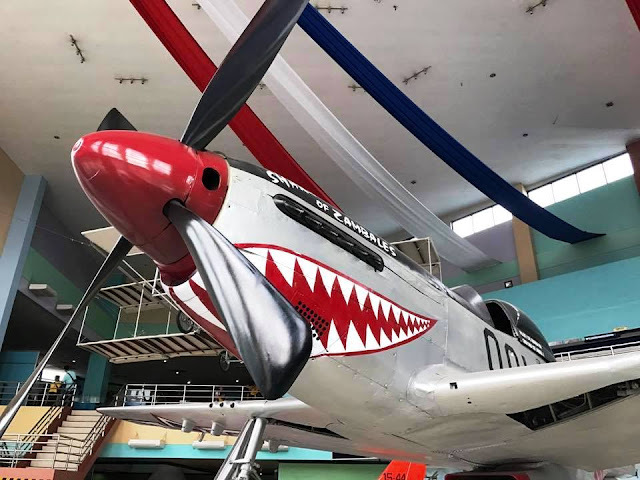 Two of these were originally turned over to the Philippine Air Force by Japan, and some were subsequently built for the Air Force as part of the War Reparations Program. They were in use until the early 1970's. I had so much fun and I don't usually take selfies during trips but here's out obligatory selfie in front of the museum signage. The entrance fee is only Php20 for adults and cannot be paid with a credit card so better have some cash, too. It was specified at the signage outside the Aircraft Park that visitors wearing slippers will not be allowed inside. It would be a shame if you missed out on that part just because of your footwear. Bring your own car or take an Uber or GrabCar going there. There is no bus or jeep that passes by the Philippine Airforce. Our Uber fare from Makati Medical Center going here was Php125 and going back to H.V. dela Costa St. cost us Php175. You can also opt to take the Skyway since it's located just when you exit the Skyway. Get refreshments you can drink while walking around. Going around the Aircraft Park can get you thirsty so better bring a drink. You can also buy one at the souvenir shop in the museum. Manage your expectations on what you will see. There were drilling noises, paint smells, and unlit portions of the museum since it's undergoing renovation. We didn't mind since the entrance fee was cheap but just manage your expectations, and, hopefully, the renovations will be done by the time you visit. 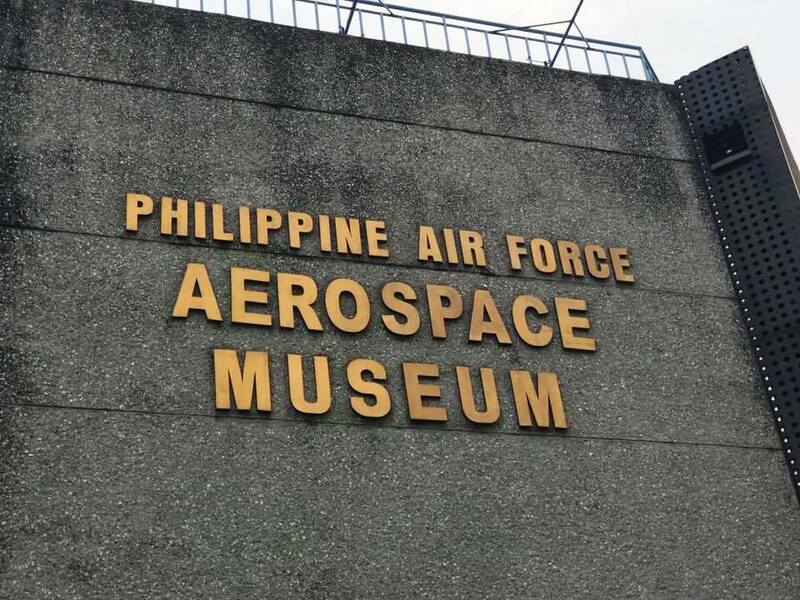 The Aerospace Museum is a great place to unwind and get to know more about Philippine history through our Philippine Air Force history. It will be a great learning experience for you and a fun one as well.